There’s so much to love about Frankie. Plozza’s story is filled with rawness, pain, heart warming moments, and soul crushing scenes. From its opening pages until the end we’re taken on an amazing journey, not a very long one time wise, or that grand in the scheme of things, but amazing none the less. From the start you are invested in these characters and their lives. The ongoing mystery about what Steve Sparrow said to Frankie isn’t the only hook, nor is her newly discovered half brother. Her life with her aunt and her abandonment by her mother is a captivating and painful tale that connects in all the right places. 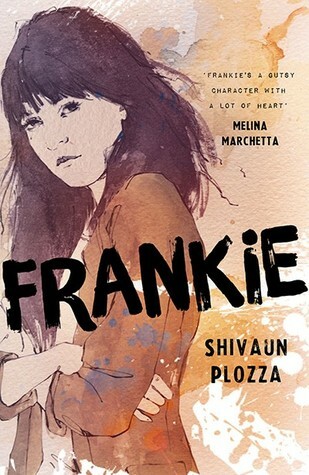 Plozza makes you empathise so much with Frankie and what she deals with. I’m not entirely sure if it’s healthy, but I got Frankie. I agreed with her philosophies and I admired her, even when she was doing wrong. Her determination is admirable and while your heart pounds and you personally feel the guilt when she disobeys her aunt, I loved her still. I love her attitude and her fierceness, plus her attempt to do the right thing in a world that hasn’t been that kind. Her love and respect for her aunt is beautiful and contrasted perfectly with her desire and urge to do things that aren’t always right. There is a definite emotional tug-of-war that never lets up. There is a view that Frankie doesn’t accept the chances she’s given; she is provided so many chances to right her wrongs that she doesn’t take for one reason or another. But while it seems like she is her own worst enemy, seeing her decisions and thought process from her point of view, you forgive her. You understand her anger comes from a real place, something that can’t be fixed overnight. You see her desire to find her brother and do something when no one else seems to be. Her uncontrollable temper gets her into trouble and her attitude aggravates others, but seeing it through Frankie’s eyes makes it understandable. The fact that Frankie tries so hard to be good breaks your heart, and seeing her struggle and fight those helping her is torture. Every single one of Plozza’s characters are divine. She has created such a diverse range of people all mixed up in this one story. 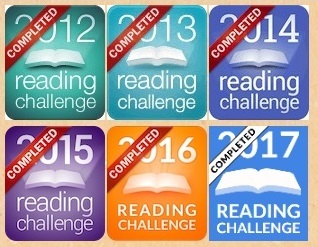 They have their own stories to tell, they are cheeky and boorish, innocent and misguided. Their life stories can be sussed out in the simplest comment or in their silence. You fall in love with so many so easily and watching them make mistakes and have victories and turmoil is one of the best parts about reading this. A lot of love must be focused on Aunt Vinnie, she is incredible. For all the conflict between the two you can tell she loves Frankie fiercely. She grounds her and scolds her but she loves her as well and there are some fabulous scenes that demonstrate that Aunt Vinnie has always been and will always be Frankie’s one defender. Against every crappy thing life has thrown Frankie’s way, Aunt Vinnie will be there. Plozza tells this fantastic story with heart and style and humour that highlights truths and realities of an imperfect world and brings flawed people to life. It isn’t a story of heightened teen angst or drama, it’s real and it’s honest, and it’s a powerful story about the realities in life and the good and bad it contains. And it will crush your soul in the process. It’s brilliant.